How Do You Soundproof a Basement? 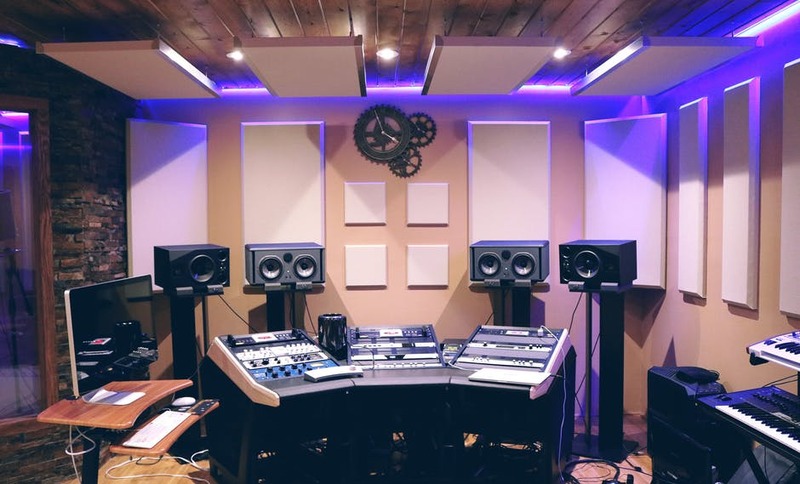 Our crew at Soundproof Studios has been creating elegant, innovative, space-saving home recording studios for nearly 20 years. Our founder, Randall Brown, first focused on creating the world’s most effective noise-reducing windows on the market. Randall didn’t stop there. Next, he moved on to invent soundproof doors unlike anything studio engineers and designers had ever seen. It’s fair to ask, why does anyone want soundproof windows and soundproof doors in the first place? One answer, among many, is to create a home recording studio. Not everyone is afforded the luxury of a basement in their home, but those that have one might consider getting the band back together. Let’s begin by thinking about your basement in its simplest form: a cube. Your basement, like most rooms, is composed of six sides. The sides are your floor, ceiling, north wall, south wall, west wall, and east wall. If you want to play instruments at full-volume in your basement without driving your family, pets, and neighbors crazy, it’s not a bad idea to begin looking into basement soundproofing insulation. By soundproofing insulation, we just mean materials that resist the transfer of sound waves. Following are just a few ideas to keep sound, i.e. your beautiful tunes, inside your basement instead of in the hears of your neighbors. These doors abate noise at record-setting levels. This model of door has an STC value (Sound Transmission Class) of 56. Sound Transmission Class is essentially a measurement of an object’s sound-stopping power. The higher the number, the more stopping power the object has. Not only do these doors stop sound, they also maintain 1.75” thickness – the sound recording industry standard. By using the thickness standard, we’re able to work with any door’s hardware. This model of doors has an STC value of 65 – a value that high rivals actual recording studio walls. We also offer doors that operate via a multi-track telescoping configuration. These doors keep more sound in your home studio, and as a bonus, they are more economical when compared to steel doors. The final exceptional project we offer is our recording studio windows. Okay, so maybe it’s unlikely that your basement has windows. That being said, if you don’t have a basement and still want to jam out on your new drum kit, why not get some recording studio windows for another room in your home? Whether you enjoy playing and recording your own music, or you’re looking to make a few bucks recording the music of others, chances are that you’ll need all the soundproofing materials you can get. Our crew knows how to soundproof a basement room for a recording studio without compromising the acoustic quality of the room. Contact Soundproof Studios for a free estimate. Life is short, and let’s be honest, often boring. Why not treat yourself to the home recording studio you’ve always wanted?